More companies than ever are switching to electric vehicles, helping to combat air pollution in cities, lower business risk and realize low emission operations globally. 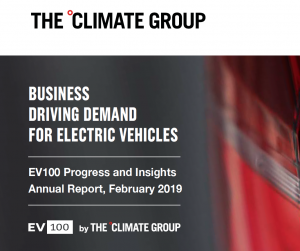 The Climate Group’s first report on EV100, the global initiative to accelerate the shift to electric transport by 2030, showcases the leadership of multinational companies including Ingka Group (IKEA Group), Deutsche Post DHL Group, Bank of America, Signify, Unilever and Leaseplan. To date, The Climate Group has secured the electrification of more than 2 million vehicles by 2030. The initiative now brings together 31 leading companies. The report covers the commitments of 23 member companies. Together they are switching 145,000 vehicles to electric in 66 markets worldwide by 2030, saving over 6.6 million metric tons CO2e. This is equivalent to the carbon footprint of 1.9 million UK households. A lack of charging infrastructure is cited as a ‘very significant’ or ‘significant’ barrier by 71% of EV100 members. The barriers with the highest ‘very significant’ scores are the current upfront cost of EVs (33%) and the lack of EV options in key markets (24%). 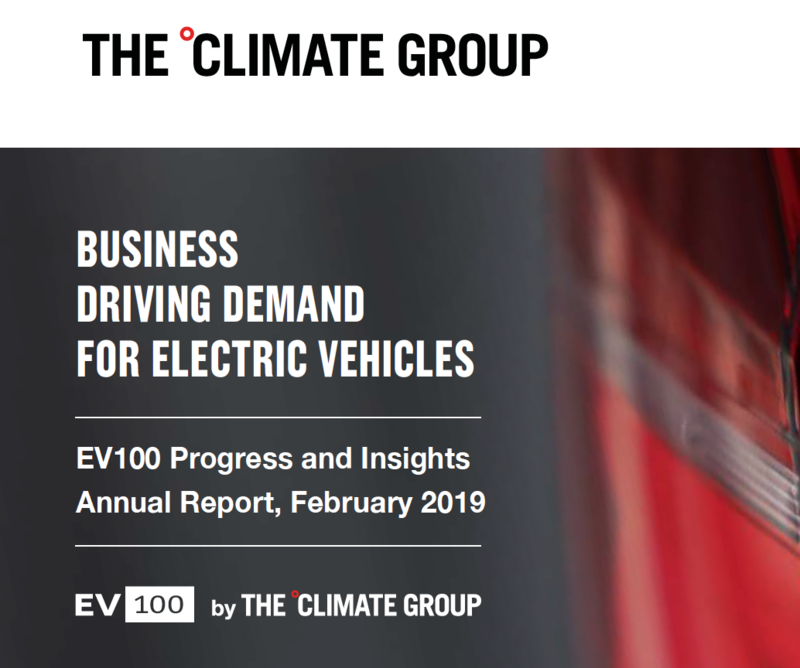 The first EV100 Progress and Insights Annual Report shines a light on companies’ fleet and charging commitments. It identifies climate action as a key driver, alongside the opportunity to be seen as a leader, and a rapidly maturing business case – battery pack costs have fallen by 85% since 2010. The analysis covers the 23 members who joined by fall 2018. Despite identifying barriers such as lack of available vehicles and charging, these companies are switching at speed, sending a clear demand signal to the marketplace. French EV100 member EDF Group will switch more than 31,000 vehicles to electric by 2030, with 27,000 in France alone. Its Plan Mobilité Electrique will also deploy 75,000 charging points and provide access to 250,000 interoperable chargers for its customers by 2022. The international logistics company Deutsche Post DHL Group is already seeing 60-70% savings on fuel costs and 60-80% savings on maintenance and repair from its StreetScooter vehicles compared to standard vehicles. “StreetScooter allows quiet and most of all emission free delivery on the last mile, even in highly polluted agglomeration areas. This issue is drastically gaining importance – and not only in Germany, where municipalities are instructed by court order on a near daily basis to enforce a ban of diesel powered vehicles.